This was something I was confused at first, but now, I know how to do MSU-1, mainly for ALttP since that's the only game I choose to use MSU-1 for. @polar, I do not understand what you mean, could you reword/send a screenshot or whatever? I use snes9x and even the mod wii version snes9x gx to play msu-1 games with no problem so there is a way to get it to work. Im with Conn though i am not sure what are you trying to say. Like are the PCM files being renamed to smc or sfc? You will probably need to do a short video or a before and after pictures so we can see the steps of what is happening. @Conn, @Jud6ment. I got it fixed. I had windows updates in the background that I did not know of and I think that was what was making snes9x act weird. Sorry about that, its my bad. @Jud6ment. I know you have said that your wife could make something up for your pcm art, for the time being I had made this as a temp photo for you. Again this is just a temp. Feel free to resize it for your liking. Now I use tush which take the header off the rom and its never gave me an issue, but I do not know why snes9x keeps adding the smc to it. What am I doing wrong? Polargames wrote: @Conn, @Jud6ment. I got it fixed. I had windows updates in the background that I did not know of and I think that was what was making snes9x act weird. Sorry about that, its my bad. Lol, bro i love it, im going to use it, thanks. 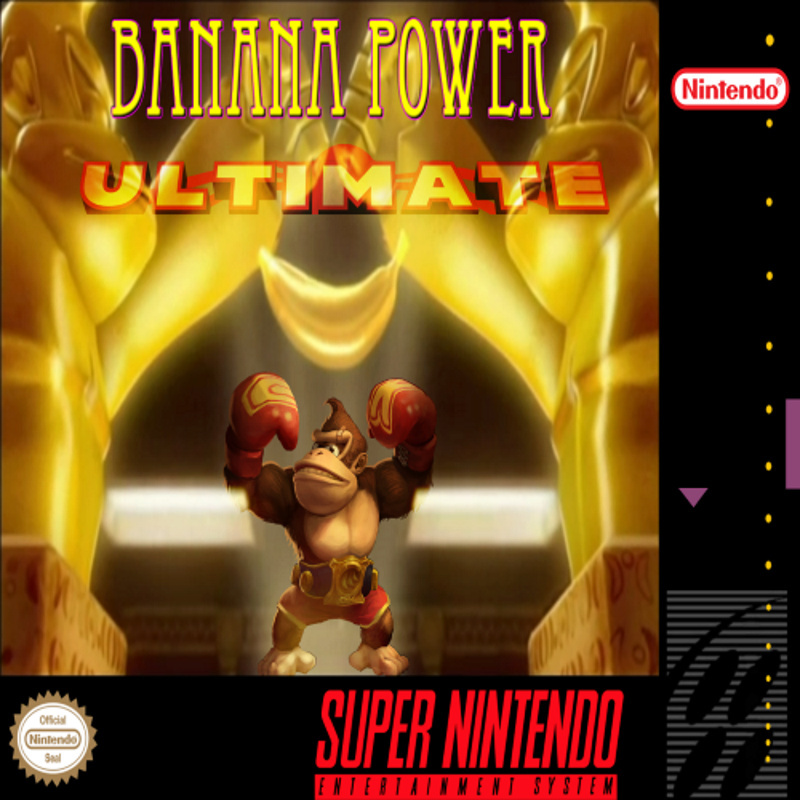 I also wanted to use ultimate in the title since the highlight of my PCM set is smash bro Ultimate so lets use it. Thanks bro, your awesome. @Polargames If the Wii Snes9x versión keeps adding the SMC extension, there should be an option to turn it off. If not, then what I would do is just give your patched ROMs the SMC extension your Snes9x version wants. In other words, rename SFC to SMC. MSU1 will still work, the game will still be patched regardless of what extension you use. If you notice some games like Zelda have SMC extension (even though they have no header on them). pepillopev wrote: @Polargames If the Wii Snes9x versión keeps adding the SMC extension, there should be an option to turn it off. If not, then what I would do is just give your patched ROMs the SMC extension your Snes9x version wants. In other words, rename SFC to SMC. MSU1 will still work, the game will still be patched regardless of what extension you use. If you notice some games like Zelda have SMC extension (even though they have no header on them). Ok, thank you very much Pepv for your advice, I will give it a shot. I have the desktop version and its never done this before? Should I let the devs know about this issue? Again all of this is new to me because snes9x never did this before. @Polargames Desktop version? Hmm, where did you download it. Can you PM the link to me? Let me check it out personally to see what your encountering. pepillopev wrote: @Polargames Desktop version? Hmm, where did you download it. Can you PM the link to me? Let me check it out personally to see what your encountering. I use the 32 x64 bit non lib retro version. I hope this helps. @Polargames You mean this one snes9x-1.58-win32-x64.zip? Is this the non-libretro one? @Polargames I download the non-libretro x64 and unable to reproduce your issue. 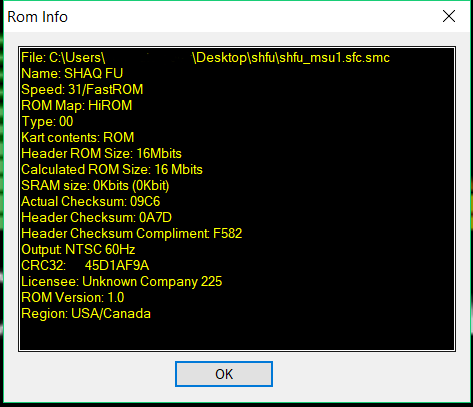 However, as stated earlier, just rename your ROM's extension to SMC from SFC (msu works fine, just confirmed). Maybe something in Snes9x wants the SMC extension. Do you run this game natively with Snes9x or you run it through some launcher (LaunchBox?) that may be renaming your ROMs? @Pepv Yes its the snes9x-1.58-win32-x64.zip, and I run snes9x natively. I never had issues with snes9x before, so I do not know what I have done wrong? Would re downloading it be worth a shot. I will also do the tip you have told me as well. @Polargames Yeah, MSU-1 still works using the SMC extension instead. It seems to me like Snes9x wants the SMC extension (therefore, adding the SMC after SFC, like name.sfc.smc). Sure, try re-downloading Snes9x and if the issue comes back. Try the SFC->SMC renaming route. See if that works out for you. Are you sure you don't have file extension hiding enabled on your computer? That's almost always the cause of double file extensions like this. @To All, Thank you so very much for troubleshooting my problem with me, come to find out file extension hiding enabled was not enabled on my pc. I have no clue at all how it got turn off, but now its fixed and everything plays great. Thank You all very much again. I think you may have misunderstood me. You want extension hiding DISABLED so you can fix the double extensions. My guess is that at some point you tried to rename the extension from smc to sfc with extension hiding enabled resulting in the double extension. When you viewed it on the Wii, it doesn't do that hiding so you saw the mistake.. Hiding extensions again didn't fix the problem it just hid it again. qwertymodo wrote: I think you may have misunderstood me. You want extension hiding DISABLED so you can fix the double extensions. My guess is that at some point you tried to rename the extension from smc to sfc with extension hiding enabled resulting in the double extension. When you viewed it on the Wii, it doesn't do that hiding so you saw the mistake.. Hiding extensions again didn't fix the problem it just hid it again.